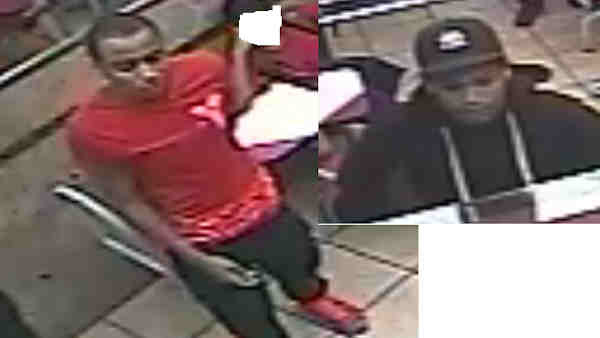 BRONX, N.Y. (WABC) -- The police are looking for two men who robbed a chicken restaurant early Friday. Around 2 a.m. on Friday, the suspects, one armed with a gun, walked into the Kennedy Fried Chicken on University Avenue and demanded money. According to the New York City Police Department, the store clerk complied and the suspects fled with cash. The first suspect is described as a dark skinned man, 18- to 25-years-old wearing a black baseball cap, black hooded sweater, green shorts and white sneakers. The second suspect is also a dark-skinned male, 18- to 22-years-old, 5 feet 8 inches tall, wearing a red shirt, red sneakers and black pants.